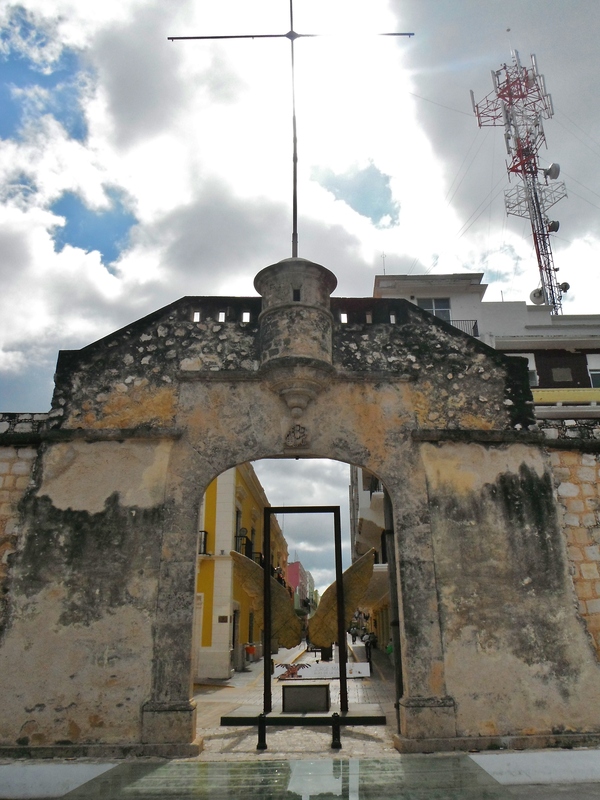 Coming from the big city of Merida into Campeche was literally a breath of fresh air. 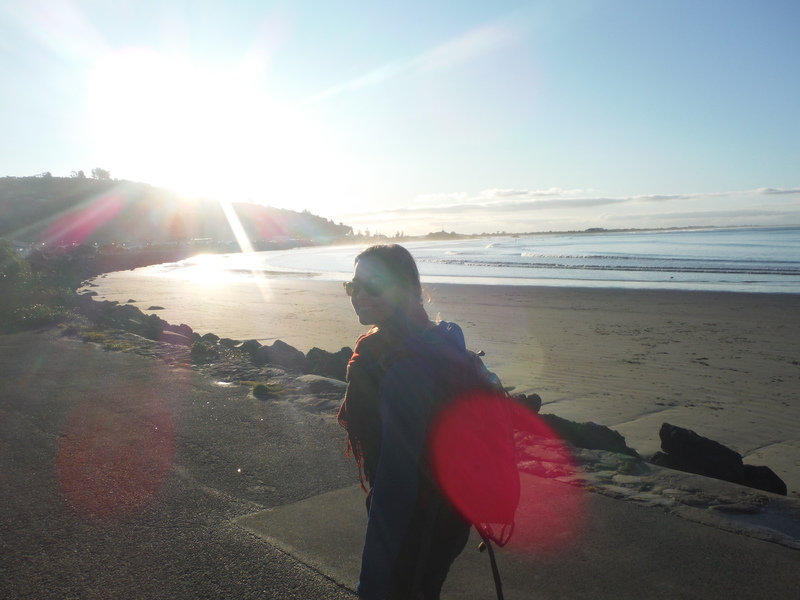 This sleepy town located on the gulf coast stole my heart the moment we arrived. 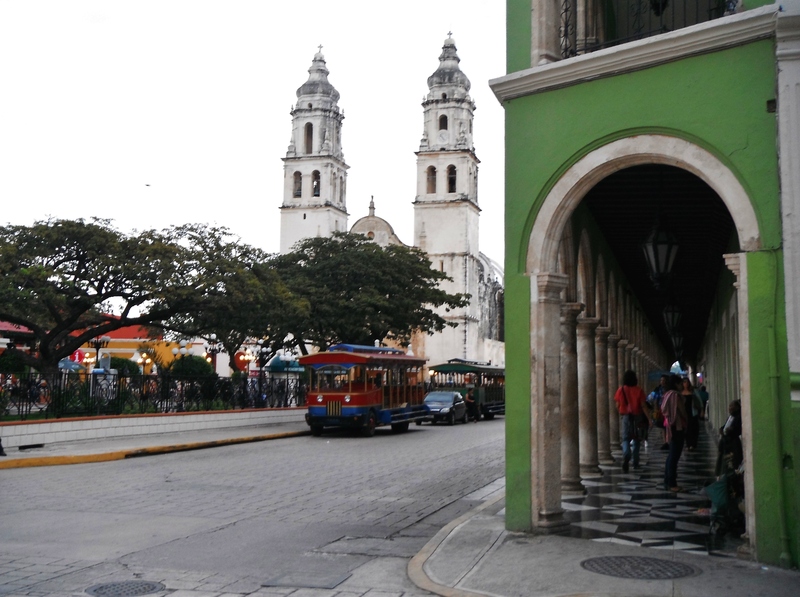 Maybe it was the fact that the colonial walls still stood intact, or perhaps it was the clean, cobblestone streets – no, it was simply Campeche’s modest, lovely colors. If there’s one thing that is certain about Campeche, it is that it’s loved. Over 2,000 structures have been painstakingly restored within the town’s historic center – designated a UNESCO World Heritage Site in 1999. And yet, for one reason or another, this perfectly preserved place sits inside the least visited state in the Yucatan peninsula. That’s only another reason to love it, of course! It was just off one of these charming, sunny streets that I had one of my favorite Mexican experiences to date. It was in Campeche that I discovered botanas. Austin and I were looking for a way to waste a lazy afternoon when we stumbled into Salon Rincon Colonial (alright, so we didn’t actually stumble. – our guidebook had helpfully pointed out that this place had served as a location for the Antonio Banderas movie Original Sin). 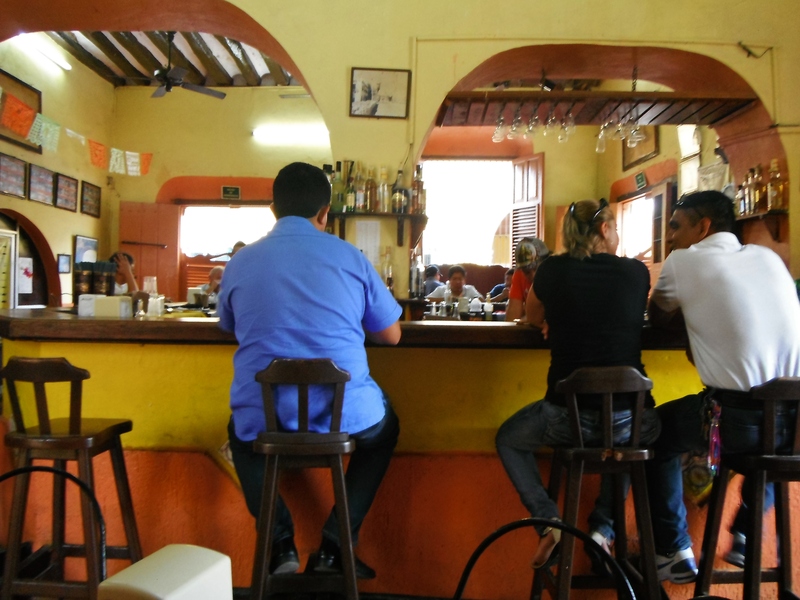 A step through saloon-style swinging doors and we found ourselves in a somewhat dingy, totally entrancing bar chock-full of locals (so this is why the streets of Campeche are so quiet in the afternoon!). We took a table and were quickly served with two beers, and much to my delight, 4 plates of snacks! 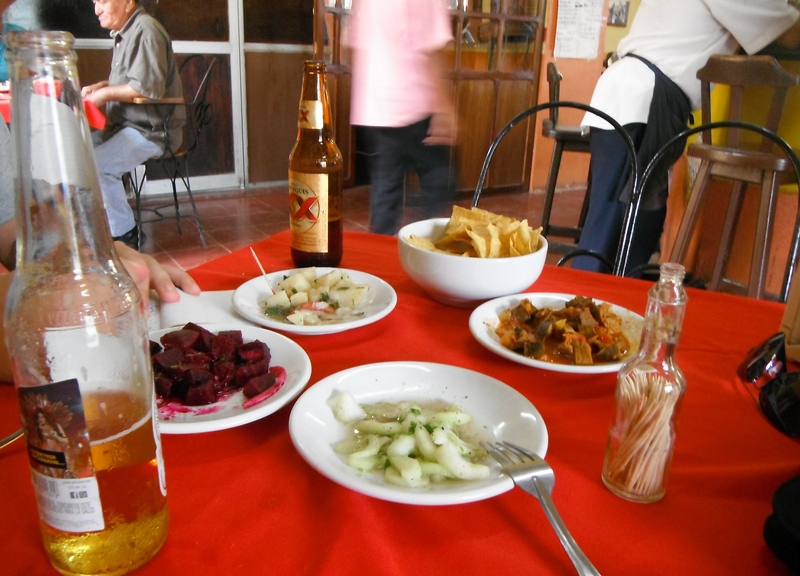 These are botanas, or drinking snacks served in traditional Mexican drinking establishments without additional charge. And the best part is that they bring out new plates with every round of drinks! Austin and I found ourselves with a very affordable lunch in this way (and admittedly, a little bit of a buzz). 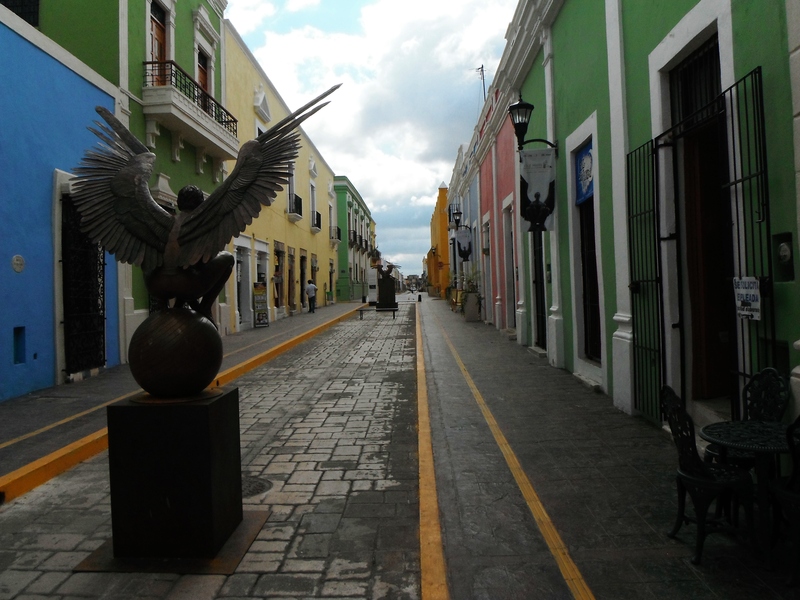 Yes, it was both Campeche’s beauty and botanas that stole my heart. And you, single reader, should consider yourself very lucky should you fall into a position to let this colonial lady steal yours.